Drone Mapping | Blue Ridge Services, Inc.
Blue Ridge Services, Inc. received one of the earliest FAA 333 Exemptions in the waste industry, which gives our team the ability to provide drone mapping services to waste facilities. 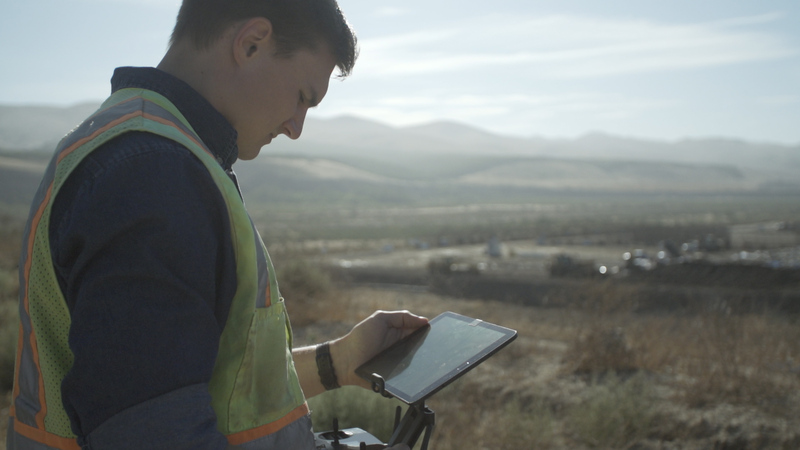 While other drone pilots can fly a waste facility site and provide general data, our team can interpret the high-quality data we gather and provide an operational-based perspective based on our decades of consulting at hundreds of facilities throughout the U.S., Canada, and abroad. Perhaps the most important application of our Drone System is to provide up-to-the-minute mapping for preparation of our Fill Sequence or Soil Management Plans. Each of these plans is provide a linear picture of the landfill’s development …starting from existing conditions. Unfortunately, when those existing conditions are based on an out-of-date topographic map, our planning cannot be as precise. Using our drone mapping systems, we can quickly map any landfill …and produce a high-accuracy map within a day or so. Often, our time-motion studies require us to monitor scraper or truck haul routes. Using the “Follow-Me” capability of our quad-copter, we can track multiple cycles of any haul route to obtain the highest possible detail of vehicle performance. We have been conducting time-motion studies for nearly 3 decades – and have used video for much of that time. This includes tripod-based video and in the past several years, machine-mounted (GoPro) video cameras. Our newest video tool is based on a quad-copter drone- which allows us to watch specific machines/operations in maximum detail. Technological advances in Forward Looking Infrared (FLIR) cameras has resulted in small, lightweight units that can be mounted on a drone. These allow us to fly landfills early morning and identify hotspots that can indicate subsurface fires. This must occur at first light, before radiant heat from the sun can mask hotspots. 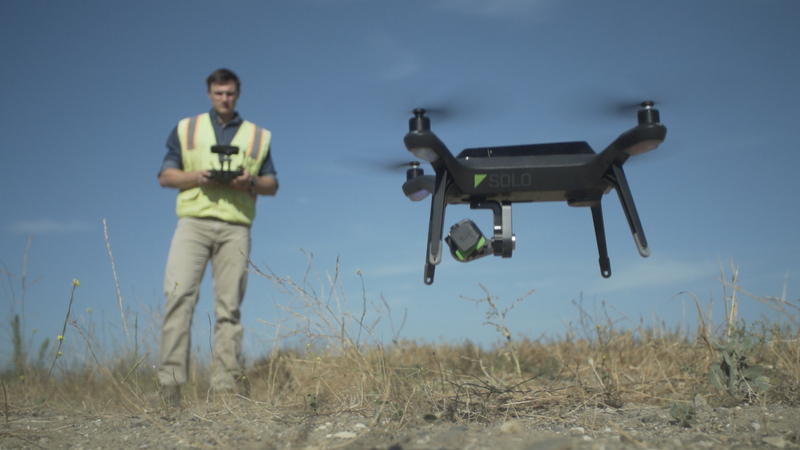 Drone Mapping and Monitoring at Solid Waste Facilities | Blue Ridge Services, Inc. from Blue Ridge Services on Vimeo. 1. Use drones to inspect and capture detailed aerial photographs and videos showing your site from a unique perspective. 2. With our specific drone mapping software, we can create 3D geo-referenced models of your site to provide further detail and greater precision when inspecting problematic areas on-site. These 3D models serve as an exceptional tool to better understand and visualize existing site conditions, sequencing plans, and any other areas of concern that may exist at your landfill. 3. Using imagery, GPS/satellite, and video footage, our drone mapping software can survey your entire site and create a detailed real-time 2D topographic map within a matter of hours after flight. Not only can we provide you with a topographic map, but we can also create digital elevation models to help you better envision your site’s existing conditions. Drone mapping can be paired with fill sequence planning, soil management planning, and density tests to provide comprehensive, practical planning resources. Because our drone mapping software uses a combination of imagery, GPS, video footage, and ground control points to capture the site’s topography, we can reach a highly detailed accuracy of +/- 3.5 cm. Traditional real-time (on-the-fly) accuracy are generally around a range of +/- 10 cm, which is an improvement in accuracy of 65%. Due to the fact that we can combine our all drone-captured maps with annual Fill Sequence Plans and/or density tests, we can charge you 25-50% less than your current costs for your 2D topographic maps. Traditional measures of surveying provide you with your topographic maps within approximately 15 days after surveying. We at Blue Ridge Services can provide all your aerial maps, models, videos, and photos within a day of surveying your site, which is a 93% faster turn-around rate. We are THE experts in landfill operations. Our team doesn't just map it and hand it over. We can provide a unique, experienced perspective to your topographical maps, with recommendations for practical ways to increase efficiency and cut costs. Can we fly your site? Contact us today!